Condominium is a residential complex with common area and infrastructure and a special license. Foreigners can own condominium units in their personal names. Condominiums are the most common type of housing that is acquired by foreingers in Thailand. The main purpose of buying a condominium in Phuket is an investment. A condominium license allows management companies to obtain a hotel license in the future. Which makes it possible to rent the units out on a daily basis and make a high rental yield for unit owners. There are ~ 40-50 new developments with a total of 6-7 thousand condo units coming on Phuket real estate market in 2018-2020. Such a choice entails some difficulties for a potential buyer. The main difficulty of choosing a condo unit in Phuket is a lack of information about the projects. In most cases, the buyer is not able to evaluate the offers offered by real estate agent. For more informative decision on the property investment, it is necessary to understand the difference about the location, land costs, infrastructure and the future of the area. Agencies select investment property individually by the request of the client. On the one hand, the agent is interested in offering the best option for the client. On the other hand, the agency receives commissions from the developer. Hence developers can influence the proposals advertised by agencies, the conditions and commissions that they pay for the promotion of their objects. The difference in land prices in different areas of Phuket can be tenfold. Same-size plots located in different areas or distances from the beach can differ in price as much as 5 million and 150 million baht. 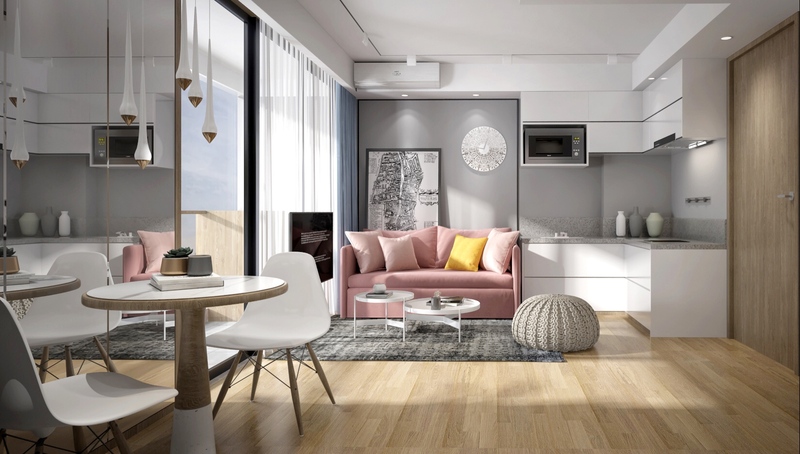 At the same time, the cost per square meter of an apartment in projects with different locations can be around 80-100 thousand baht. Phuket’s infrastructure is actively developing and changing. To understand the future of the area, you have to learn about both completed and coming projects. These may be competing projects that will affect the occupancy and rental income of the selected condominium. Either projects such as shopping centers, new restaurants, entertainment complexes (water park, kids park, etc.) that will increase the interest in the area and the rental demand. The list of condominiums is actually a list of competitors of VIP KATA Condominium by Phuket9 company. The purpose of the list is to allow potential buyers to be more informative about Phuket real estate market. You contact any developer form the list for more information. Compare projects in different locations by unit prices, rental programs, the scheduled completion dates, etc. This list will allow you to pre-select interesting object and to request information and advice from real estate agents of the island. Please scroll table to the right to see more information, such as prices, EIA approvals, projects website URL and developers contact information. We update the list 3-4 times per month. Subscribe to Phuket9 page on Facebook to get the most recent information about real estate development in Phuket. A complete information about how to purchase a condo unit of Phuket9 company can be found at VIP KATA Condominium web-page.